People believe that the first Americans, before Christopher Columbus, may have traveled to North America over a land bridge from Asia called the Bering Straight. They may have also sailed from Asia, the South Pacific, or Australia. European explorers traveled through North America during the 1500 and 1600s. 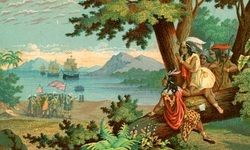 Louis and Clark explored and discovered the western part of America. Through the 1700 and 1800s the United States acquired a lot of new territory. Most of the United States population is made up of immigrants, people from other countries, or descendants of immigrants. People from different cultures have developed a sense of respect for other communities in America. The United States is a republic--the people elect leaders to make laws, make decisions, and run the government. 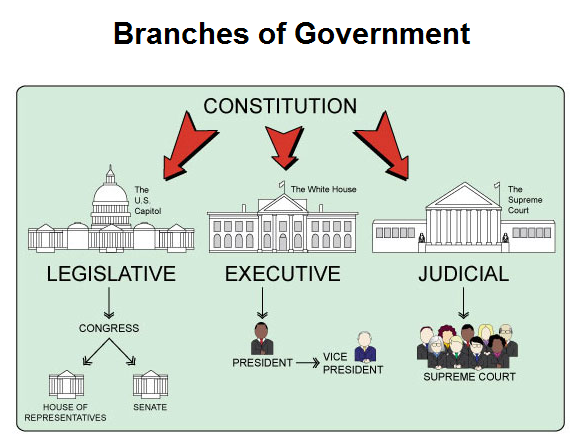 The Constitution describes the structure of our government. 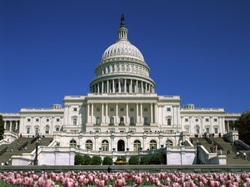 The legislative branch makes laws. The executive branch enforces laws. The judicial branch interprets laws. 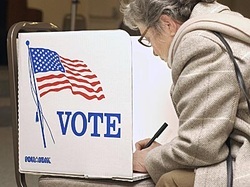 The U.S. government can be changed by laws and amendments. Citizens of the United States have rights and responsibilities. Some of these are described in the Constitution and the Bill of Rights. All citizens have additional rights beyond those in the Bill of Rights. Citizens have many responsibilities, including obeying laws, paying taxes when they are due, and serving on juries.